Following the recent political events such the general election and last year’s EU referendum, an issue has been flagged up that has never before been fully addressed. These massive decisions have been made and the people who will inevitably be affected the most by them, us youngsters, didn’t actually have a say. So, on Friday 21 July, Boundless Associate Producer, Phoebe, and I, headed down to the Young Vic for a ‘What Next?’ round table discussion about the engagement of young people with politics and the role arts organisations and theatre companies can play in this. One issue that was raised was that arts organisations cannot show any political bias as they are publicly funded. A member of the Chickenshed Youth Theatre said that they get around this by making political youth theatre shows, as nobody really pays attention to those. 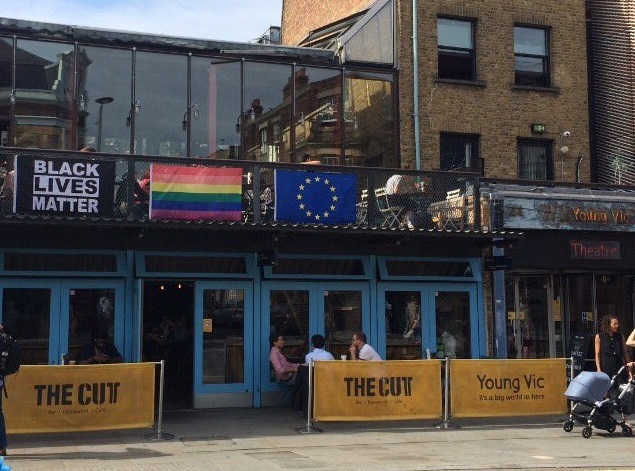 The Young Vic proudly hang the Black Lives Matter, Gay Pride and EU flag outside their building; the building is politically neutral, but the people within it are free to express their views. This supports the simple feeling of knowing you matter, that you have a voice and that you can use it to make a difference in the world; all of which many young people are sadly void. One thing that everybody at the meeting seemed to have noticed is that after political events there seems to be a loss of momentum with the engagement of young people. It’s as if everyone goes “Right yes politics is important kids!” then sort of forget about it until the next thing comes up. Perhaps this could be due to the outcome of these elections and referendums; if you live in a political system which seems to change very little, it can be easy for there to be a drop in morale and urgency. Everyone agreed that the engagement of young people with politics should be an ongoing process, which then raised the question of how arts organisations could help with this. 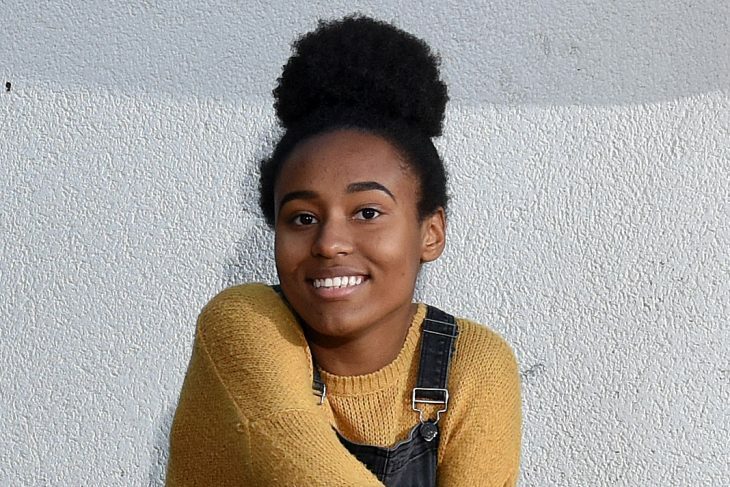 As the youngest member of the Boundless Advisory group, I have really valued the progression from doing work experience here last year to being given a platform to voice my opinion in a way that I think all young people should experience. So, perhaps more companies need to jump on the Boundless bandwagon, and start their own shadow board of young people? Of course, this is a question that everybody should be able to answer, but I think the subject has missed a big opportunity to teach young people more about how the political system works. For instance, I was never taught what austerity meant. I had to google it. As for my parents, apart from hearing LBC on the radio now and then, I never really have long conversations with them about what’s going on in the world. The place I find out about these things is Instagram. Now I know what you’re thinking, isn’t that just for posting the odd selfie? It may come as a surprise, but the social media site is my main source of news from around the world. I follow lots of political pages which post articles or flag up issues that are not covered in mainstream media and I know that many of my friends use it in the same way. Instagram and social media are great, don’t get me wrong, but there isn’t really any interaction involved. Of course the comments sections are always filled with heated debates about whatever new legislation Trump has put in place, but there is no face to face conversation. This has made me think about the resources that arts organisations have to facilitate such discussions. For instance, we have people with the right skills to lead meetings on a large scale well as the space to hold these meetings in. So, perhaps the answer to this issue isn’t to put on ‘political’ shows, but to hold big conferences with lots of young people where we would discuss current political issues and pretty much any topic that would stimulate face-to-face conversation. It would teach young people valuable life skills like how to respect the opinions of others whilst being confident in what they believe in, both of which are vital in any democratic system. In summary, although at the start of the meeting it seemed like there was no clear cut answer to this HUGE problem, by the end we had all gone away with lots of these thought-provoking ideas. Of course, we young people under the age of 18 do not have the right to vote. But politics isn’t all about voting. It’s about all of the issues going on around the world that can easily be missed. It’s about that feeling of significance in a society where young people are far too often overlooked. It’s about the engagement that arises from big political events, not the outcome.